I already laid out why I think the Academy Awards aren’t culturally-relevant. Lots of others have as well. What I noticed was missing, though, was how that could change. Similarly, there’s a long-standing charge that the Hugo Awards (the equivalent of the Academy Awards for science fiction and fantasy, at least in terms of aspiration, and almost as old) are not representative of the genres the awards claim to cover. There’s a curious parallel, where we see that both sets of awards are chosen by a small minority compared to the total population of those who consume the relevant media. There is a campaign right now, in its third year, with the tongue-in-cheek name Sad Puppies, that aims to expose a claimed level of bias and also bring more attention on the Hugo Awards themselves. Considering the reaction to last year’s nomination ballot, the bias seems evident; but far more important, I think, is that it drew more people to purchase supporting memberships and vote in record numbers. That part is key because, honestly, anything that attempts to be representative should be as representative as possible. The best books of the year should be the ones the majority liked best. The more people who buy supporting memberships and vote, the better it is for the Awards. Of course, personally, I think that one year is hardly representative. I’d prefer it to cover the works published at least five years ago. In that way, we can easily see which ones stood up as being truly popular in a lasting way, rather than temporarily interesting. The Hugos do have some retroactive awards, but it’s not the same idea. Regardless, I think the Hugo model is far better than that of the Academy. With the Hugos, we have a voting population made up mainly of untrained audience members or amateur and small-scale writers, yet with a greater likelihood that they know what they’re talking about in terms of technique than the typical movie-goer. It’s tempting to say that it’s because book-readers are more likely to recognize good technique, but that’s a false assumption; regular movie-watchers can and do learn from constant exposure in exactly the same way. Rather, it’s the modest fee for membership that helps the Awards, since it means that those who would vote on a whim but otherwise not really care tend to pass it over. The idea, as you all have no doubt guessed by this point, is . . . why not take the same model for movies? The sad thing is, the Academy would never go for this. They seem to prefer the idea of the awards being truly Hollywood-based, giving pats on the back to each other rather than truly putting their money where their mouths are and risking a genuine “representative” vote. Because, remember, Oscars night isn’t actually about the movies. It’s not. It’s about the celebrities who show up. Otherwise, why would we have that red carpet, where they all try to outdo one another? Why does the news coverage care more about the dresses the women are just-barely wearing rather than having an ESPN-style dissection of each movie and what it means to American and even world culture? There’s one major benefit I’ve seen to the Hugo model, exposed by the Sad Puppies campaign. That benefit is engagement. I’ve never seen so many people engaged on the point of quality in fiction. I’ve never heard of this many people arguing this much over what makes a good book. That can only be a good thing, because even though many are dogmatic, the constant arguments mean those arguments get refined. I’m seeing schools of thought blossoming on my monitor as the months go by. Some are absurd, others are thoughtful; some I disagree with, others agree with me, and still more make me rethink what I consider to be set in stone (in as much as an art can ever be set in stone). I would love to see this happen for the Academy Awards. I want them to be culturally-relevant. I don’t enjoy the current situation, where we have the worst of both worlds — an award curated by a group of professionals who rarely, if ever, act professional. The purpose of an award managed by elite experts is so that expertise can be brought to bear; but if that expertise is not evident, what benefit is there over a general vote by non-experts? There will always be arguments that it falls short; and undoubtedly this model would produce results that skew toward “popular” over “quality.” Yet the popular often has plenty of quality, as the best-grossing movies tend to be the ones that actually interested audiences enough that they went to the theater rather than waited for it to show up on Netflix. The highest-grossing movie of 2014 was Mockingjay which, while I enjoyed it, I don’t think deserved to be Best Movie of 2014; but if it had been voted as such in this model, I’d have known this: it spoke to that many people, and that in itself is quality. Whatever the case, the truth is, popular fare in any medium has always been snubbed by the self-appointed elite. […] What bothers me slightly is that many people assume because you make big films that you put less love, care, and thought into them then people do who make independent films or who make what are considered more serious Hollywood films. 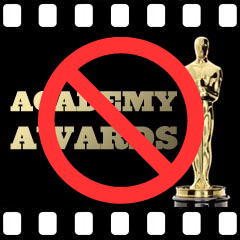 Eventually, I think the Academy Awards will have to rethink their approach, or they will become eclipsed by a far more inclusive set of awards that more people will think worthy of their time and attention. Either way, I’d like the premiere film award to be one representative of the tastes of the people who buy the product, rather than those who make it in the first place. Great piece of writing and couldnt agree more. And while i did enjoy the intensity of Whiplash, the horrible true tale of Imitation Game, the solo trekking of Wild, and i can appreciate how Still Alive might strike a chord with families coping with that disease, i found no relevance in Birdman or Boyhood. The Birdman film looks as if it was made specifically made for the Oscars, like a racehorse trained solely for a certain race. And Boyhood? Well i must admit i was onboard for about 9/mins of that thing then slowly started ti realize that nothing was happening, or was going to happen (an assumption confirmed by the end). When the day comes where movies like Jonathan Glazers Under The Skin get an Oscar (or at least nominated) then i guess i might pay attention. But to assume that what gets put forward for voting in the Oscars, indicates the cream of that years crop of movies, is ridiculous. Im off to watch Babadook again.